My Dad is a Buff aficionado. I remember him excitedly explaining to me the virtues of the humble tube of fabric one Christmas, as he lovingly bestowed upon me my very first. The following year when he presented my new sister-in-law with her own version of the versatile neck piece, I knew she had been wholeheartedly accepted into the fold, and was now considered a true Elliott and thus worthy of such adornment. When you spend so much time braving the elements, running quite literally headfirst into gales and hale storms, it can be the simple that makes life comfortable. So whilst for some it can be hard to get excited about something so elementary as a long loop of fabric, like my Dad I’ve always had a thing for straight forward objects that work well due to their inherent simplicity. Bikes, for instance. But is it possible to improve on something that works, or should we stick with what we know best? Like my Father, who only extremely reluctantly swopped wool and corduroy for Goretex and Fleece, I decided to risk upgrading my trusty Buff, and go for something more upmarket. Kitshack said they’d send me over a merino number, to see if they could tempt me away from my original Crimbo classic, now wearing a little thin around the edges. The first problem was trying to choose which one to get, as since Dad first presented me with the wonder object, the product line has exploded to include all manner to colours, styles and fabrics. 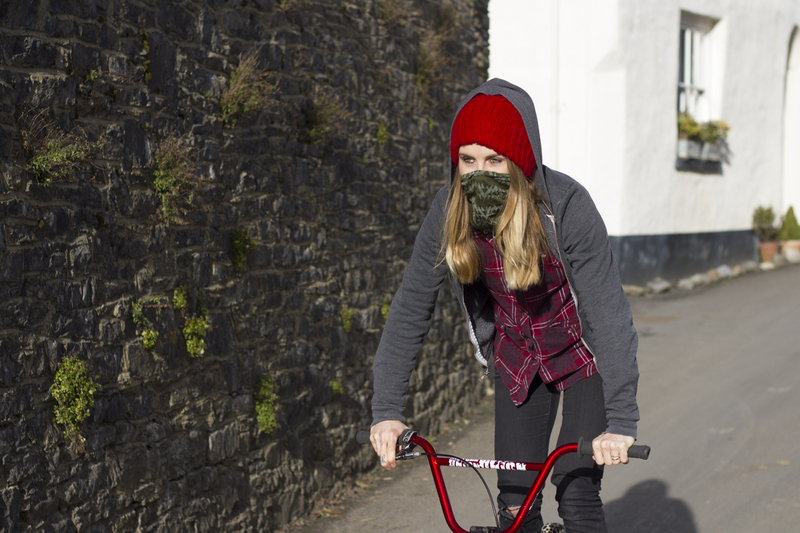 Product chosen, in an effort to seriously test out the item, I put on lots of eye make up and went out bandito style on the BMX. So how did she fare? Well everyone in our tiny village looked at me a little strangely as I cruised up to the skatepark, and the woman in the Post Office thought I was going to hold her up for a 10p mix. I felt warm and toasty and darkly mysterious. 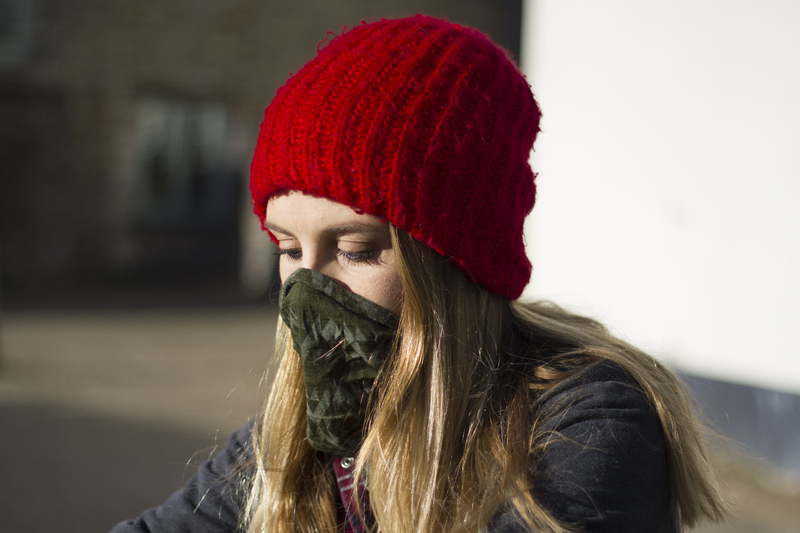 But in all seriousness, the merino feels soft on the skin and the Buff’s straight forward design stops wind funnelling down your neck, which is lovely in Winter when you’re wondering whether you want to even leave the house. But there’s something special about getting kitted up and out regardless of the weather, and feeling like you’ve not only braved the elements, but beaten them. And it’s for that reason that I love little products like this and it’s now joined my list of essential winter items. The one problem I’ve found, is I now need one for every outfit.